William’s face reflects our faces. 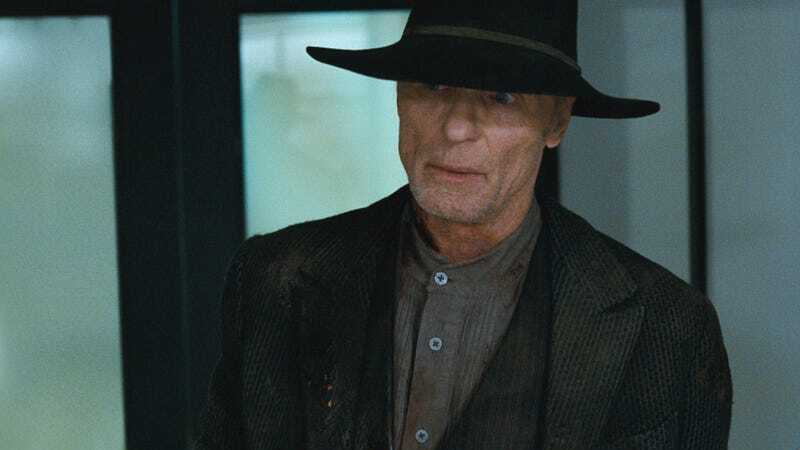 Westworld has ended its fascinating but confusing second season with an episode that closed a lot of doors, opened a few windows, and changed its own game entirely with a closing scene that we have to talk about. In this season’s last episode of TheoryWorld, io9's Beth Elderkin and Gizmodo social editor Joe Tonelli chat about what we learned, everything we don’t know, and the biggest theories about those final moments. Join the debate! Discussion points below. 1. Who’s in those host balls Halores smuggled out of Westworld? 2. Is Stubbs a host, and has he been this whole time? 3. Who’s coming back next season? 4. If humans can’t change their core drive, can hosts? 5. What’s next for Dolores, and why does she want Bernard there? 6. What the hell did we just witness in the post-credits scene, and what does it mean for the show going forward?